Dr. Mike Golpa Receives "Man of the Year" Award for Selfless Efforts! Dentist Donates Smile Makeovers to Women in Need! 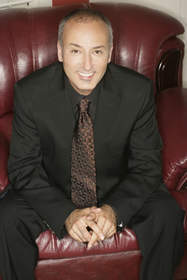 RANCHO MIRAGE, CA -- (MARKET WIRE) -- August 4, 2006 -- While many dentists perform magic on their patients by giving them a glowing smile, Dr. Mike Golpa, a specialist in dental aesthetics in Las Vegas, goes above and beyond the call of duty. Donating smile makeovers to women who need it most and can afford it the least, Dr. Golpa is literally changing the lives of countless women around the country. This past July 21, 2006, Dr. Golpa received the prestigious "Man of the Year" award during the Mrs. Globe and Ms. U.S. Globe pageants held in Rancho Mirage and presented by W.I.N (Women in Need) www.womeninneed.org, a non-profit organization helping women break the cycle of emotional or physically abusive relationships. Being a staunch supporter of the foundation, Dr. Golpa donates a smile makeover to women who have completed W.I.N. 's 20-week emotional recovery program. By years end, Dr. Golpa, with the help of partnering Burbank Dental Laboratory, will have completed 12 smile makeovers for those who could never have afforded the $18,000-$50,000 fee. The event bestowed well-deserved recognition on Dr. Golpa for his contribution to the final healing of women who offer their incredible smiles to others on a similar journey. Knowing full well how a smile makeover can heal the spirit as well as the smile, Dr. Golpa had this to say: "I am honored to have received this very prestigious award. Having aligned myself with W.I.N has made an important difference in the lives of those who need it the most, but it has also changed my life as well. What I discovered is that the result of a smile makeover is breathtaking, even to me. It's just an amazing feeling to see the difference in a woman's confidence and self-esteem -- even in the way she carries herself. Hopefully, there will be other dentists that will follow suit." The power of a beautiful smile does hold a lot of weight demonstrated by the comments made by recipients. Here's what one smile makeover receiver had to say: "The smile makeover changed my whole outlook," stated Terri Knight of Hawaii. "Dr. Golpa is a very compassionate, kind-spirited human being who cares about his work. I thank him from the bottom of my heart because now I have a beautiful smile. Suddenly, I feel like I can take on the whole world." For those interested in speaking with Dr. Mike Golpa about his work, and the symbolic power of a beautiful, heartfelt smile along with the miracle of personal transformation, please call (702) 641-7111, Burbank Dental Laboratory or contact Tony Sedler at (800) 336-3053. For more information about the W.I.N. foundation and the 2006 Man of the Year Award, contact Monica Ulrich, WIN Foundation (949) 718-1275, Ext.12. To arrange interviews with women who have directly experienced emotional recovery through W.I.N. and a smile makeover by Dr. Golpa, call: (661)-433-7511.